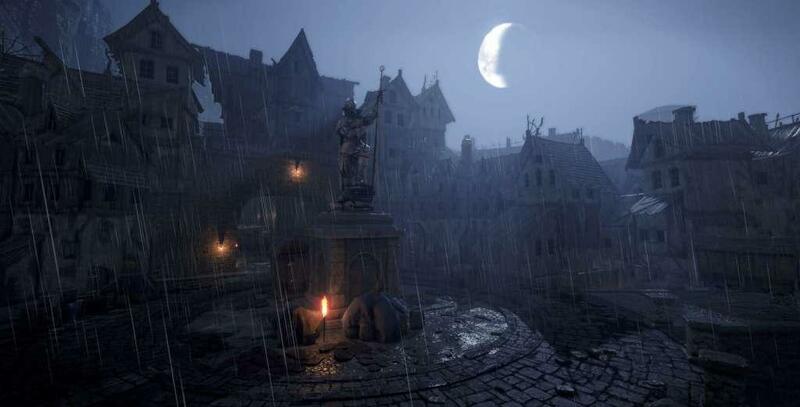 Includes: base game, official soundtrack, Helmgart heraldry themed skins, wallpapers. 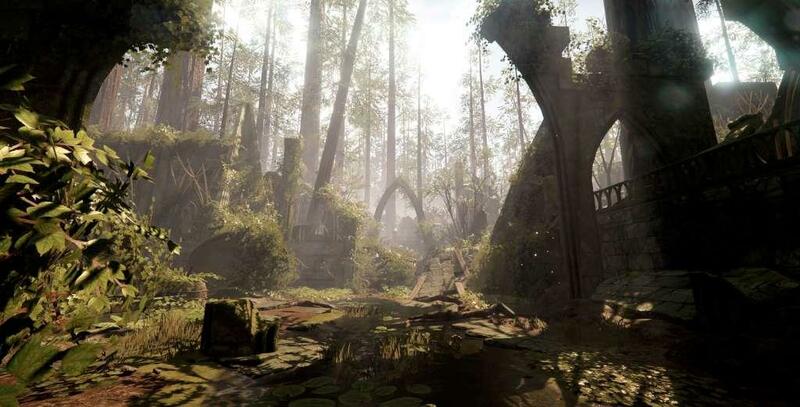 Vermintide is back – darker, bloodier and more intense than ever! 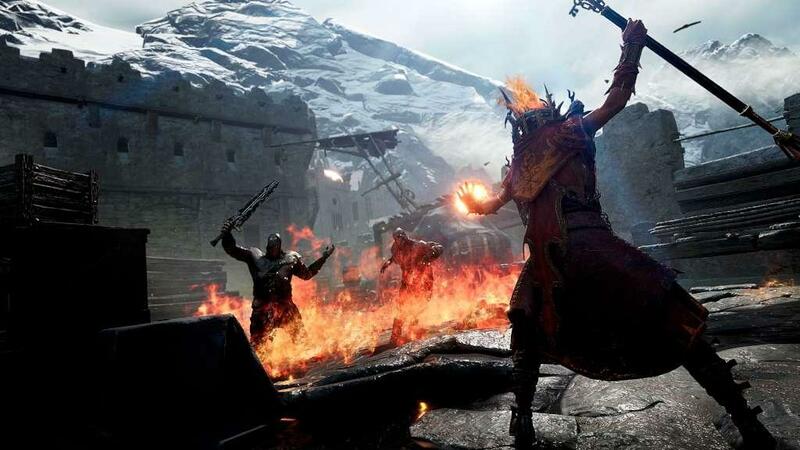 Warhammer: Vermintide 2 is the sequel to the critically acclaimed Vermintide. The time has arrived to revisit the fierce first-person co-op slaughter-fest featuring visceral and ground breaking melee action, set in the apocalyptic End Times of the war-ravaged Warhammer Fantasy Battles world . Our 5 heroes have returned to take on an even greater threat – the combined forces of a malevolent and destructive Chaos army and the swarming Skaven horde. 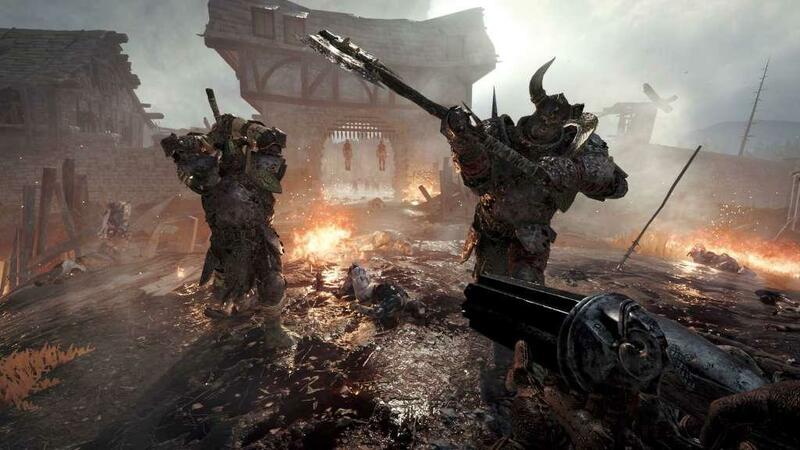 Prepare to be challenged like never before as you and your team desperately try to survive the never-ending onslaught. Choose between 15 different careers, climb the talent trees, customize your arsenal to fit your unique play style, fight your way through a myriad of stunning levels, and challenge yourself in our new Heroic Deeds System. The only thing standing between utter defeat and victory is you and your allies. If you fall - so will the Empire. Choose between 15 unique careers, each with different appearances, abilities, talents and weapons. The combined forces of Chaos and Skaven are savage and merciless, and it will take a coordinated team effort to make it out alive. Prepare to face a threat of unparalleled magnitude as the Chaos and Skaven armies have formed a dark pact to plunge the world into death and decay. Our heroes will face a horde of hostile combatants in a variety of shapes and sizes. 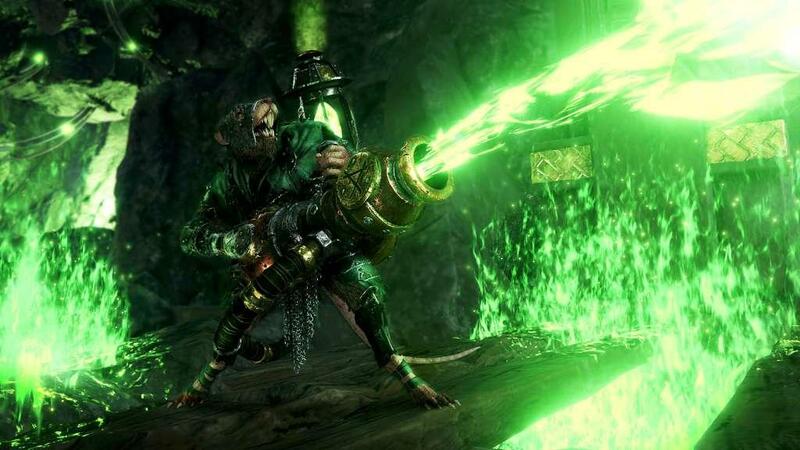 Facing the infinite numbers of the Skaven combined with the brutal strength of the Chaos army, the heroes must stand together and their fight must strike a balance between sound tactics and fury to overcome unimaginable odds. Experience unique scenarios and intense trials with our new Heroic Deeds System - consumable quests that will dramatically alter enemy composition, level settings, weapon use and mission objectives. Level up your heroes and climb the talent tree of your chosen career, unlocking new abilities and gaining access to powerful gear along the way. Explore a wide range of breathtaking new levels set in and around Helmgart, a fortress city protecting the Bretonnian border of the Empire. At the end of each mission, you will be rewarded with relevant loot - weapons, consumable quests, trinkets, hats, crafting material and more - all applicable to your chosen career.